Keeping your car in tip-top shape is important, as a healthy car stays on the road for years to come. 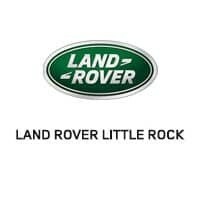 With the help of our Land Rover parts center in Little Rock serving Conway, we can help drivers repair their car as well as give them the tools they need to keep their ride rolling. It’s no surprise that parts wear out over time. Luckily, we provide shoppers with a number of high-quality genuine OEM parts. We make our inventory of parts available to all motorists, as we are here to help in any way possible. For those Land Rovers fans who want to add a little more to their car, we also offer a great variety of accessories. Stand out and make a statement! Our Little Rock Land Rover service center near Conway is a great place to have new parts installed. With highly-trained technicians here to help, our team is full of knowledge, care, and an all around willingness to help. It is very easy for shoppers to order the parts they have been looking for on our website. Simply fill out the form provided, and our team will get back to you soon. By simply giving us your contact, vehicle, and parts information, we can get you what you want in no time. To learn more about how we can help find you your needed parts, contact Land Rover Little Rock by calling us at (833) 664-6125.